*Check your shaving head type number on the back of the shaver, on the shaver housing under the cutter block or under the long-hair trimmer. Braun new style complete cassette unit incorporates both the head frame available in black or silver with outer foil screen and internal cutting blades. This make replacing the part a very simple one step process to renew the shaving performance. The Braun Series 3 Shaver models can give you a perfectly close shave without irritation and are constructed to stand the test of time; however, to enjoy their benefits to the fullest and ensure yours lasts for years to come, replacing the foil and cutters inside is of the utmost importance. The Braun 32B New Series 3 Black Cassette Foil & Cutter Blade makes it simple to do just that, as it provides the replacement foil and the cutter in one handy set. 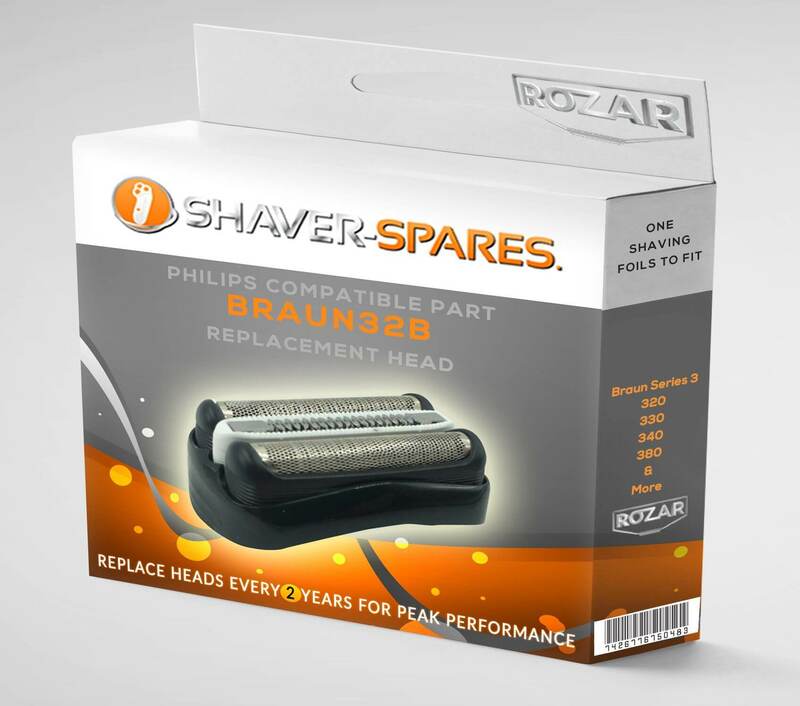 Braun recommends that you replace this part at least once every 18 months or sooner if the maintenance light illuminates on your shaver. With the Braun 32B New Series 3 Black Cassette Foil & Cutter Blade, you can maintain any of the Braun Series 3 models that have a single foil and cutter design. Models include the 390cc-4, 380s-4, 370cc-4, 370cc, 350cc-4, 350cc-3, 350cc-2, 350cc, 340s-4, 340s-3, 330s-5, 320s-4, 395cc-3, 390cc, 380, 370cc, 370, 360, 350cc, 340, 330 and 320. You can find the shaving head type number on the back of the electric razor, under the cutter block on the housing or beneath the long hair trimmer.